"Don't Deprive Your Dog Of An Education"
Would Your Dog Sit-Stay On The 16th Street Mall? Meet Founder & Trainer Paul Wekstein - ALL TRAINING IS GUARANTEED!! Don't Delay! Your Dog Can Be The Lovable, Well Behaved Pet You Want. Does Your Dog Listen To Commands While Under Distractions? Personal Protection Programs Are On Going. Get Your Dog Tested Today! 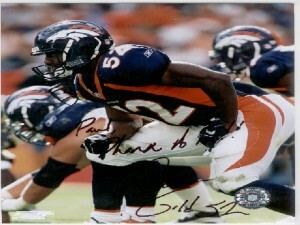 Private in home dog training classes throughout Colorado with guaranteed results. Puppy training, obedience training, problem behavior modification, & protection training. We are conveniently located for private in home dog training in Evergreen, in addition to in home dog training in Denver, Conifer, Littleton, Highlands Ranch, Castle Rock, Greenwood Village, and much more! After those 8 weeks of training, we provide a guarantee of our training for the life of your dog. Dog training can begin for puppies starting at 3 months old. 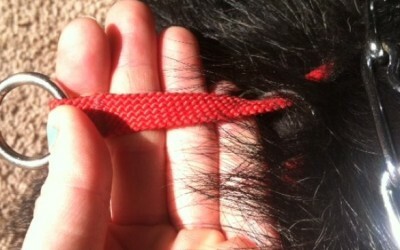 That can mean you could have a fully off leashed trained dog by 5 months old. We also work with puppies of all ages, adult dogs with a variety of obedience & behavioral issues, dogs who have had previous dog training that didn’t work, rescue dogs of all ages, plus all breeds and temperaments. After 35+ years of dog training, in addition to working with police departments, training dogs for professional athletes and celebrities, and endorsed by local animal shelters, we have the ability to transform your dog into a well mannered dog you will happily welcome into your home. It’s just 8 weeks & more affordable then you think! 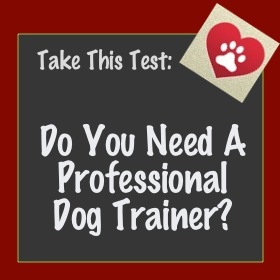 Before attending dog training in Evergreen at Mountain Canine College, almost all of our dog owners have said what you might be thinking before they got started. PLUS, we’d be happy to share with you their success stories as well. Maybe you already know or have met a dog or VERY HAPPY dog owner who has completed our program and you want to experience that too! Take advantage of our FREE Dog Demonstration and see how we can help you today! All training is guaranteed. Don't delay! Your dog can be the lovable, well behaved pet you want. What is the difference between Personal Protection vs. Schutzhund dog training? [VIDEO] Puppy Training Results After 8 Weeks: featuring 6 month old Ruby! What Do I Need To Buy For Dog Training? 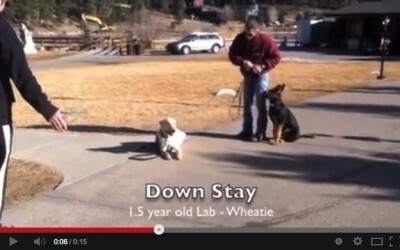 DOG TRAINING VIDEO: Wheatie the Labrador Mastering His Down Stay Command! Lots of kudos to Paul Wekstein, Mountain Canine College, Evergreen, CO! After a recent move to Evergreen from upstate New York, my two large mixed breed dogs began acting out in a very aggressive and rambunctious way. I found Mountain Canine College online and gave Paul a call. Not only did Paul help me train my dogs, but he did an excellent job channeling their energy in a much more constructive direction. 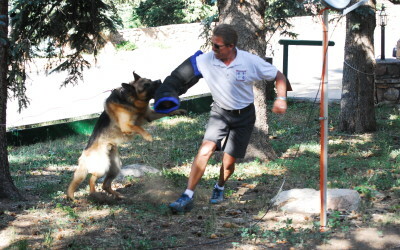 Paul’s approach to dog training is professional, direct and very effective. After 35 years of training dogs, he really knows what he’s doing! Love, Love, Love Paul! I was bitten many times by dogs growing up and was not really excited about having a dog so I insisted that we get a puppy so I can learn to love him. Holy cow. Who knew a puppy was as much work as a new baby? Our half mastiff half hound dog (Black Mouth Cur) had me wanting to return him after 2 weeks. Paul came to the rescue and now my Wilson and I are inseparable and he minds (even when the rabbit runs in front of him)! Paul was referred to me by a friend who had him train three of her Shepards. I’m so glad she gave us his name!!! I can’t say enough. Whether you have a difficult dog or not, if you hire Paul, you’re going to see results. Thanks, Paul!!! When confronted by a bull elk in our yard, “Anna” recalled without hesitation. Paul, the obedience training was money well spent. Post by Mountain Canine College. 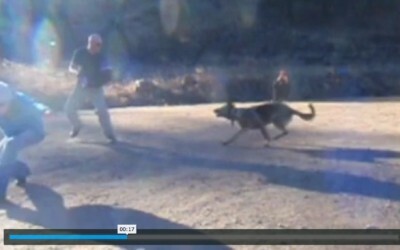 Check out a quick video we shot for you at one of our Personal Protection Dog Training Classes. These dogs are having so much fun learning to protect their owners. Ruby, 6 month old Border Collie, and her owner will walk you through a little of what she has learned over the past 8 weeks! This can be your dog in 8 weeks !